Did you know that 1 in 7 gas appliances in the South-West are not safe? 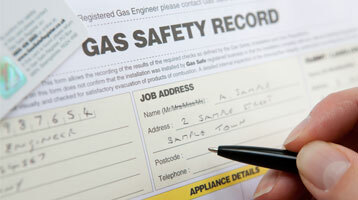 In the past 3 years the Gas Safe Register has investigated over 300 illegal gas safe installers. The figures are truly shocking and highlight the importance of using a reputable Plumbing & Heating company in Plymouth. We have many accreditations that have been awarded to us over the years, making us one of the most accredited plumbing and heating companies in Plymouth. All our heating engineers are Gas Safe Registered and we are trading standards approved by Plymouth City Council for peace of mind. Poorly fitted gas appliances can cause a number of problems and can even be fatal, that is why you should always use a reputable heating engineer. If you have just moved into your property you should get your gas appliances tested for peace of mind, read our latest blog post for more information or get in touch with us and one of our Plymouth based in heating engineers will be more than happy to help. 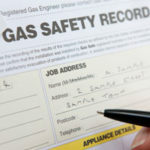 You must always use an engineer that is on the Gas Safe Register, if you are in doubt, request to see the engineers Gas Safe ID, you can check if an engineer is on the Gas Safe Register by visiting the Gas Safe website or phoning them on: 0800 408 5500. Switch off the appliance and gas pipework by turning off the gas supply at the emergency control valve at the gas meter. Do not turn the gas supply on again until it has been checked by a Gas Safe registered engineer. Do not operate electrical switches, operating electrical equipment can ignite escaping gas.